It's not how you start, it's how you FINISH! 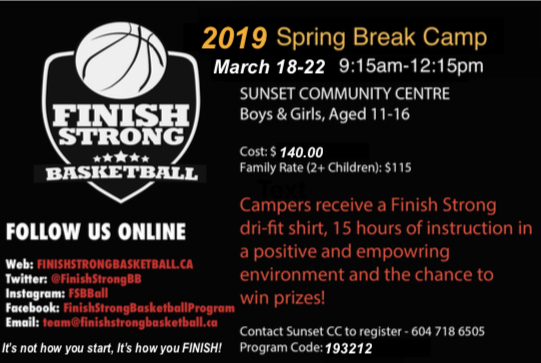 Coming this Spring Break 2019 our popular 6th Annual Finish Strong Basketball Spring Break Camp will return! Registration is now open at Sunset cc. Please contact 604 718-6505 for more info and sign up.